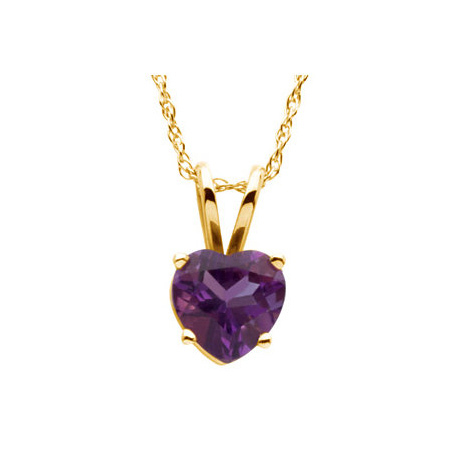 14kt yellow gold 2/3 ct heart shaped amethyst pendant dangles from a matching 18in gold rope chain. Gemstone details: .68 ct, 6mm genuine amethyst, faceted AA quality. Weight: 1.2 grams. Please note: weight is approximate, actual weight may vary.